We’ll Fit Your Family with Fabulous Designer Frames! 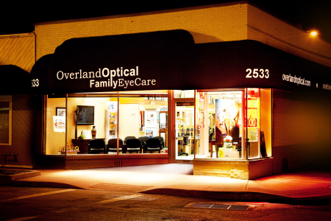 At Overland Optical, we keep our eyes on your needs when we select the best eyeglasses for our collection. We stock a fantastic range of stylish glasses to suit every fashion sense, face shape, and vision prescription. Tell us what you like and what you need, and our trained opticians will recommend the ideal frames to complement your life and your look. Bring your current vision prescription to visit our offices in St. Louis and St. Charles, and we’ll focus on ensuring you are satisfied with your new designer frames. The question of how to choose your new glasses from the array of designer frames is a common one. Many people worry that they will make a mistake, return home and be unhappy with their purchase. However, when you shop at from our St. Louis and St. Charles optical collection, you have nothing to worry about. Our staff will help you evaluate the most important criteria to make the right eyeglasses decision. In order to assess all the above features and help you make your final selection, our opticians will look at your appearance and ask you a few questions about your lifestyle. Rimless: constructed in full with two temples and one bridge; these glasses are assembled by drilling holes in the lenses and attaching the structure into these holes. Nothing surrounds the lenses. Designer frames come in plastic, metal (such as monel and beryllium), titanium, flexon, and marchon (known as a “memory metal”, because they maintain their shape even after twisting). Popular accents include sophisticated leather, creative wood, and semi-precious stones or crystals to add bling. Every material has its pros and cons; ask our opticians for more information when you are browsing the eyeglasses collection in our St. Charles and St. Louis stores. It doesn’t matter which material, accent, or type of frames you prefer – we have every style of designer frames from all the latest high-fashion names. Our women’s eyewear features Kate Spade, Gant, Guess, Versace, Scott Harris, Nine West, and more. For men, we offer many contemporary favorites, including Spine, Gant, Polo, and Nike Eyewear. New designer frames are released constantly throughout the year, and we make sure to keep our collection current. 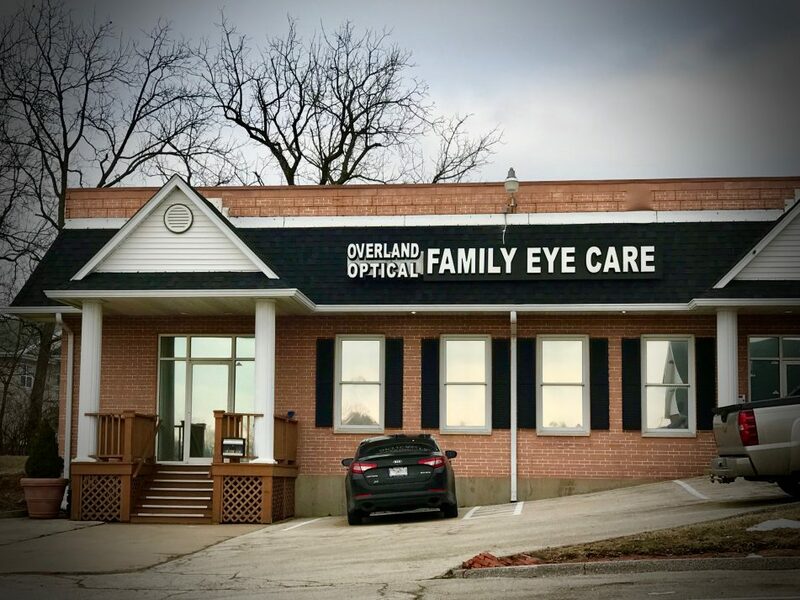 At Overland Optical, we are always updating our display – so you can always count on us when it’s time to update your unique look! Kids need to love their glasses, or those glasses will spend more time in their school bag than on their face. However, when a pediatric vision condition is left untreated, it can have a severe effect on learning, development, and all-over performance. That’s why we choose our children’s optical collection carefully, including lines such as OP and Disney. From cool and hip to serious and intellectual, we have a pair of designer frames to make the statement your kid wants. Bring your children to check out the eyeglasses in our St. Louis or St. Charles store, and we’ll point them towards a pair of glasses that will make them feel great about how they look. Our friendly opticians know what styles are trending and which eyeglasses will support your visual requirements. The selection of available eyewear is large, and we’ll help you explore your best options. We have years of experience fitting eyewear, and our expertise in advising customers is crystal-clear. 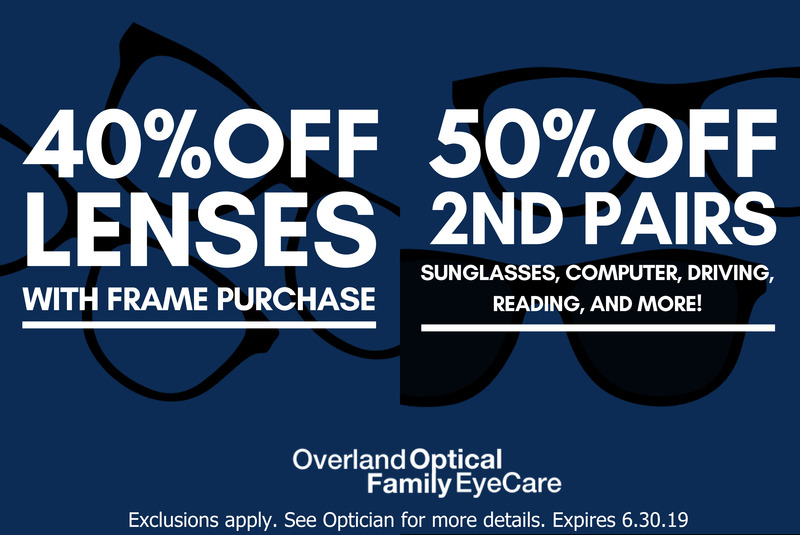 Come to Overland Optical to see for yourself!